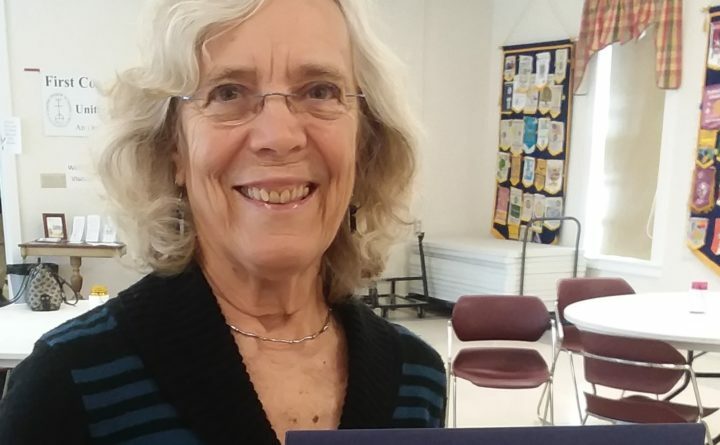 The Camden Rotary Club has honored former Maine State Representative Joan Welsh as a Paul Harris Fellow in recognition of her service to the community. Club members applaud Welsh for her lifelong efforts to help others – something fundamental to Rotary International’s founder, Paul Harris. In naming Welsh as a Paul Harris Fellow, the club has donated $1,000 in her name to the Rotary International Foundation, which funds causes ranging from polio eradication to educational and environmental programs worldwide. In the 1970s, Welsh led a community effort in Boulder, Colorado, to develop housing and services for women and children who were victims of abuse, and subsequently became executive director of a safehouse. She also served as a founder and chair of the Colorado Domestic Violence Coalition and chaired the National Coalition Against Domestic Violence. Welsh learned about Outward Bound during a vacation in Maine and began teaching Outward Bound courses in Colorado during her vacations and weekends. In 1985 she became associate director of California for Pacific Crest Outward Bound, and in 1986 deputy director of Colorado Outward Bound. Moving to Maine in 1991, Welsh became president/CEO of Hurricane Island Outward Bound and served in that capacity for 10 years. After that, she worked for Rockport College at the Maine Photographic Workshops and then for the Natural Resources Council of Maine. From 2008 to 2016, she represented Camden, Rockport and Islesboro in the Maine State Legislature. Now retired, Welsh is serving on several boards, playing cello at Bay Chamber’s Music School and co-chairing a committee raising funds for the new library in Rockport.